Finding work for refugees and migrants can be difficult at the best of times, but in Greece, hit hard by the economic crisis, that challenge can be even greater. But for a lucky few, a job or help setting up a business provide a ray of light and the promise of a brighter future. 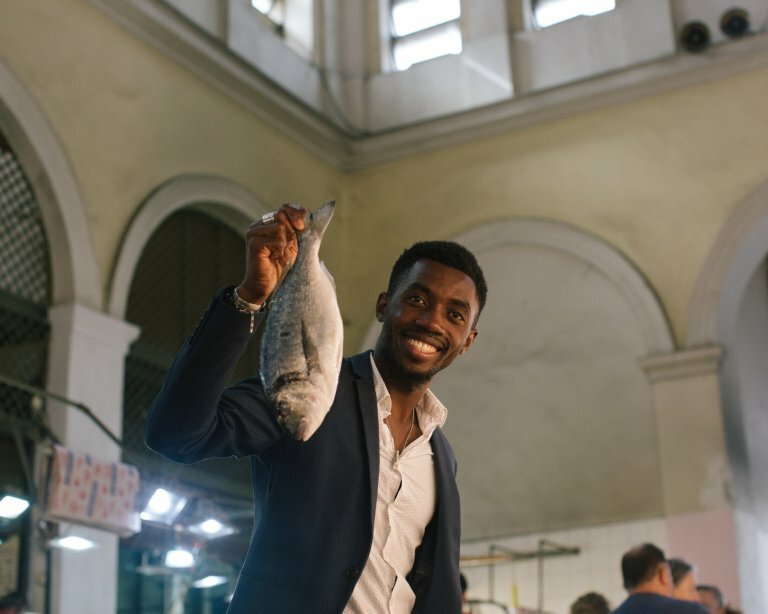 "Since I was small, I always dreamed of being my own boss," says Moussa, originally from Ivory Coast who is planning to open up the first Ivorian restaurant in Athens, with the help of Citi Foundation and the International Rescue Committee (IRC). They are just two organizations, among many, who have recognized the importance of creating and supporting work for refugees and migrants, particularly in poverty hit Greece. Since the financial crisis hit Greece particularly hard in 2008, unemployment levels have soared and thousands of people lost their jobs. Finding a job can be difficult for anyone -- for a newly arrived migrant or refugee the challenge can be even greater. "We think [work] is pretty much the most important thing," says David Cotton, Director of Project Layali, a not-for-profit business which provides employment training and permanent jobs to refugees and migrants in Greece. He argues that work helps the integration process and demonstrates to the host community that migrants want to be part of society too. 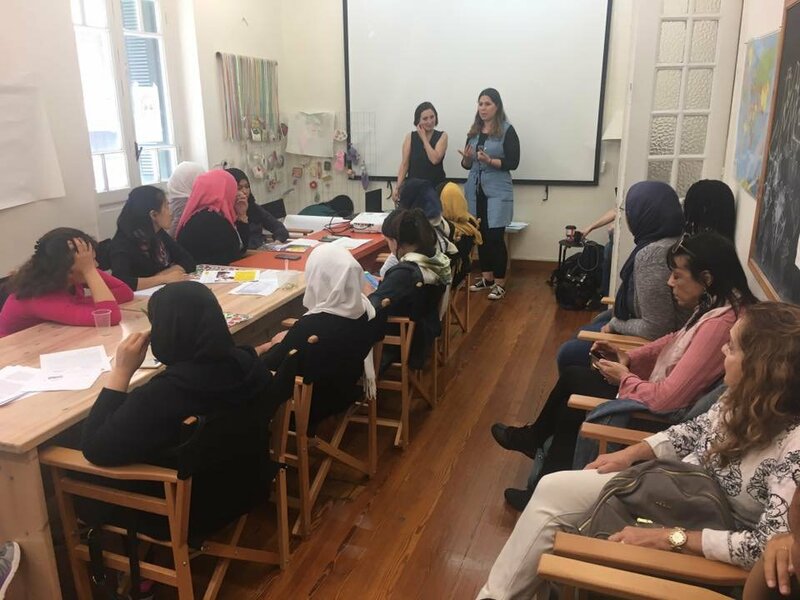 Project Layali was founded in 2018 and in winter 2018 they set up a shop in Athens, staffed by a refugee and selling handmade crafts and artistic goods from eight more refugees. In late January, Project Layali opened up a beauty salon too. The salon currently has one hairdresser, Manassif Raza, who trained to cut hair in Greece over the last two years. Cotton explains they hope to offer four more apprenticeships to would-be-hairdressers later this year. As well as employing refugees and migrants, the beauty salon is operating on a "pay it forward" basis, so those who have the means to pay a bit more can pay for extra services which will then be provided once a month at non-profits and hospitals in Athens, says Cotton. "Our goal is to integrate as much as we can with the community here in Athens." "The challenges are plentiful, there is certainly a lack of jobs in general" admits Cotton, acknowledging that the economic situation in Greece can be difficult. Apart from that, he thinks language is the greatest barrier to most migrants and refugees. In theory, as soon as they have filed their asylum application, refugees and migrants are allowed to work in Greece. In practice, according to the Greek Council for Refugees GRC, it is not always easy to gain acceptance on the job market. In 2017 the GRC and 25 additional NGOs highlighted the fact that some tax office officials were making it difficult for asylum seekers to obtain a Greek Tax Registration Number or AFM. Without that, it was difficult for them to work legally. It was obvious, says Cotton, that under the table jobs hinder integration and prevent those working in them from being a part of the social and legal system. Asylum seekers in reception facilities have also faced difficulties, the GRC noted. If the person's only address was a reception center, it was difficult to obtain a social security number AMKA. When applying for vocational training, refugees and asylum seekers face similar difficulties. Although legally they have the same rights as any other Greek citizen to apply, their application is often refused if they don’t have, or have access to, the correct documents. Moussa is a tall slim, quietly spoken man. He told the IRC in a video, that his parents and younger brother were killed just before he left Ivory Coast, to try and pursue his dreams in Europe. When he talks about food though, his face lights up. "The idea came when everyone was telling me, my food was very good. [They would ask:] Moussa, when will you cook again? 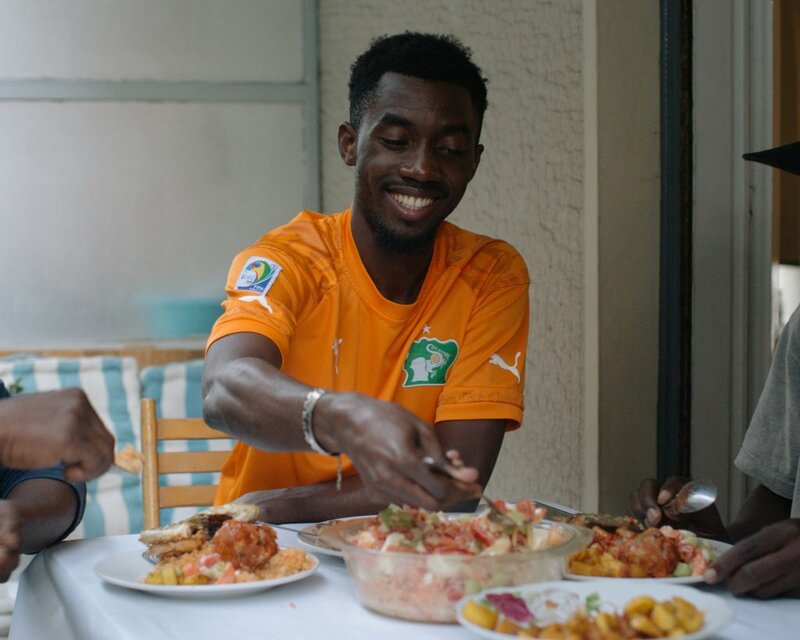 Where is the Ivorian restaurant?" Moussa raises his eyes to the sky and clicks his fingers, — that lightbulb moment. As he prepares delicious looking plantain and fried chicken, he remembers all the happy things he associates with cooking: “Eating together, being happy together.” He remembers cooking with his parents as a child. "That feeling, I miss it very much," Moussa confides, lowering his voice. “My restaurant will be called ‘Our Home.’ Food can connect people, bringing people together, from different nationalities, from different religions, exchanging ideas and eating together, without discrimination, without fighting, only happiness." The economic climate in which Moussa wants to open his restaurant is still not in the best of shape. In Greece, unemployment according to OECD data, was at 21,5 percent in 2018, the last available figures. It is falling slightly but remains high among young people in particular. The Citi Foundation and the IRC put youth unemployment at around 37 percent, a figure exacerbated by the numbers of mostly young migrants and refugees who arrived in Greece in the last few years. The employment rate of the working age population stands at 55,2 percent, suggesting that 45 percent of those of working age do not have a job, for various reasons. The long-term unemployment rate is at 72,8 percent. For the foreign-born population of Greece, unemployment between 2014-17 was significantly higher than all other developed countries and stood at 29,9 percent overall. It was even higher for women than men. In a country of just over 11 million people, around 70,000 migrants and refugees live in Greece. Of them, only about 10 percent have jobs, Dr. Dimitris Skleparis, a politics lecturer at the University of Glasgow, who is working on refugee issues, told AFP. One of those who has found work is Pakistani migrant Manassif Raza. Snipping at a client’s hair in the new Layali salon in central Athens he told AFP: "I feel more confident now that I am working, I feel my future will be better. Here in Greece you often have to make it by yourself… I had to do a lot of undeclared work: cleaning houses or hotels, washing dishes in restaurants…I couldn’t even afford to rent a house so I was hosted by some friends for a while," he adds. NGOs have been working with private financers to get employment schemes off the ground. Citi Foundation and the IRC launched their project to help train refugees and migrants in Greece in March 2018. More than 150 have so far been trained in Athens, and the program expects to train a total of 330 participants before the end of its two-year run. The course participants are trained to pitch their ideas, learn digital and entrepreneurial skills, time management and public speaking. They pitch their ideas to panels made up of experts from the private sector and Greek NGOs. Anyone deemed most likely to succeed would then receive mentorship support to develop their business plan and a grant of around 1000 euros to take their first steps towards realizing their dreams. For Moussa, this kind of framework has helped enormously. "All of us we have an idea, we have a dream. I am refugee. I came to another country, I try to make my dream come true," says Moussa, while standing surveying Athens from the top of a hill. 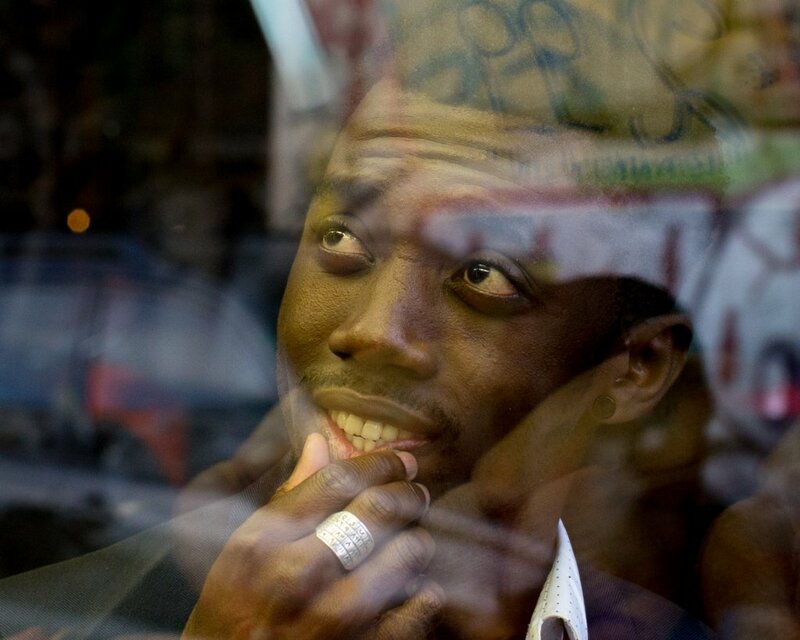 My name is Moussa, I am a chef," he giggles, his eyes lighting up, as he envisages his dream becoming reality. The Citi /IRC project is not just helping young migrants and refugees. About 13 percent of their participants are vulnerable young Greeks. The rest of their graduates come from 25 different countries, including Afghanistan, Iran, Pakistan and Syria. Even for those who don’t manage to start a business directly, the program hopes that their training will provide a solid foundation for future success. The Layali projects also hope to be self-sustaining at some point in the future. Business has been doing well so far, "but the projects are very young," cautions Cotton. "We raised enough money through a couple of donors to get the projects off the ground, they are not technically self-sufficient but they are getting there; the goal with time is for the projects to support themselves," Cotton concludes, clarifying that if their businesses can support themselves the limited funds for refugee projects available in Greece can be used for more "emergency projects" and to help the next group of new arrivals. This article was produced thanks to additional reporting from AFP —Agence France Presse.